The New Focus ST Won't Be Coming To The U.S.
Ford has finally pulled the sheet off the all-new Focus ST. Developed by Ford Performance, the new Focus ST will deliver hot-hatchback thrills and slick styling, all in one practical package. But only if you live in Europe. Alas, like so many other appealing Ford vehicles the new Focus ST won’t be coming to North America. It joins the new Fiesta ST, Everest, Troller, and Ranger Raptor on the tree of forbidden fruit for those living in the New World. 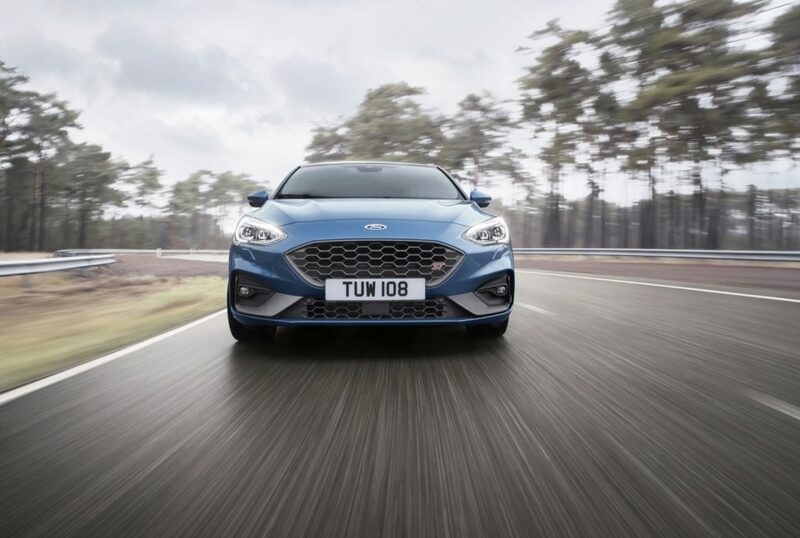 The new Focus ST will run on Ford’s new C2 architecture and will be enhanced with a unique suspension, upgraded brakes, and new ST-specific powertrains, creating what Ford says is the most responsive and agile Focus ST driving experience ever–on both the road and the track. There will be two engines available in the 2019 Focus ST. Customers can choose between Ford’s gasoline powered 2.3-liter EcoBoost four-cylinder which will pump out 276 horsepower and a whopping 309 lb-ft of torque, or a 2.0-liter EcoBlue diesel engine producing 187 horsepower and 295 lb-ft of torque. The latter of which will come exclusively with a six-speed manual transmission with active rev matching, while the gasser gets both the stick and a seven-speed paddle-shifting automatic. The new Focus ST will show off Ford’s first application of an electronic limited-slip differential (eLSD) in a front-wheel drive vehicle. Ford says that this will enhance the cornering abilities and overall stability of the new ST. The e-diff will come standard in EcoBoost models, while the diesel EcoBlue models will make do with a traditional mechanical LSD and brake-controlled torque vectoring. 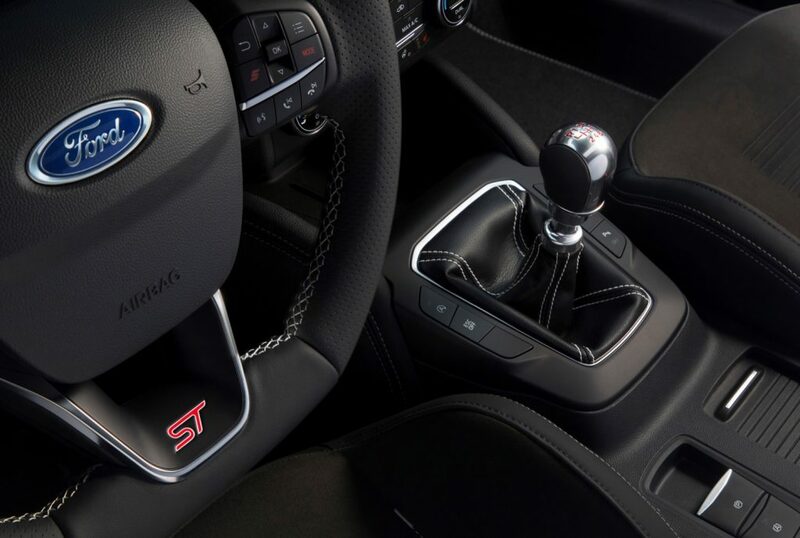 Selectable Drive Modes are also being introduced to the Focus ST for the first time, which will enable drivers to adjust the vehicle’s characteristics to best suit the specific driving scenario. Drivers will be able to select between Slippery/Wet, Normal, Sport, and Track-although Track mode will only be available on models equipped with the performance pack. There will be a dedicated “Sport” button on the flat-bottomed steering wheel that gives drivers direct access to Sport mode, as well as an additional “Mode” button allowing drivers to quickly scroll through the various drive modes. 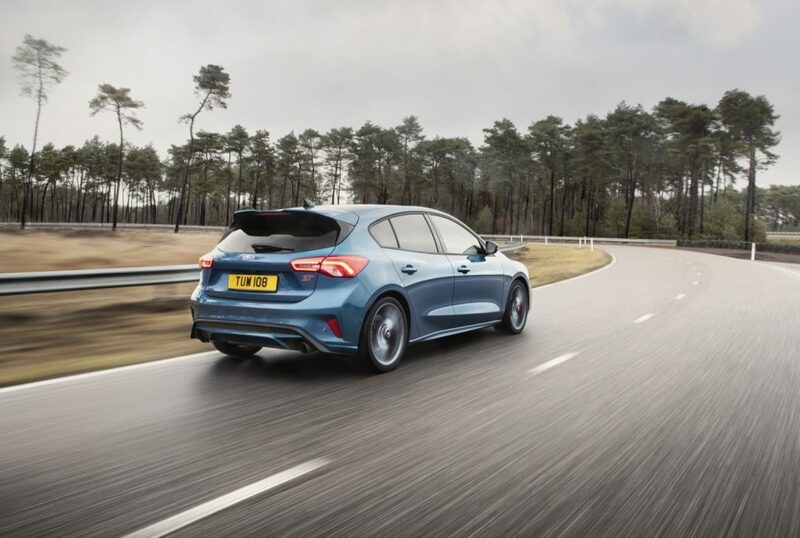 Comfort and overall driving experience will be optimized in the new Focus ST thanks to an advanced independent rear suspension with available continuously controlled damping. Continuously controlled damping (CCD) monitors suspension, body, steering, and braking inputs every two milliseconds to adjust damping responses for outstanding ride quality and driving dynamics. CCD will be standard for five-door EcoBoost variants. The new Focus ST will be manufactured at Ford’s Saarlouis assembly facility in Germany following a €600 million ($678,732,600 USD) investment. The all-new Focus ST will go on sale across Europe in summer 2019. Pricing is still to come. But not for us Americans. Anybody else find it odd that an iconic American automaker repeatedly holds out on its homeland? For more news and updates about the Ford Focus ST subscribe to Ford Authority. I wish Ford would just make Focus with AWD on all trim levels. I have a 16 Focus SE Black Pack and I couldn’t agree more, the Focus ST would sell like hotcakes in North America, at least the US and Canada for sure. They should at least bring over a special edition for North America like has been done before. Ship over 5000 for the US and 500 for Canada. They would be presold and dealers would love it. I also agree it should be AWD, Auto transmission, paddle shifters, a computer always out shifts a human. Had a 2013 Focus SE hatchback with a 5-speed. Drove it five years and 105,000 miles; no repairs other than a couple recalls and a rear main seal under warranty. Sold it to my nephew (he’s winding more miles on it) and bought a leftover 2017 ST3 a year ago this March. Love the car. It’s fast, comfortable, functional, and surprisingly efficient. I’m almost 60 years old and have had a stick shift Ford in my life since I was 15. I’ll have to take care of this one because it will probably be my last Ford. Abandoning the car market here in North America, save the Mustang, I think is incredibly short-sighted and more shareholder driven than customer driven. I don’t need a truck and I won’t be buying an SUV, CUV or any kind of UV of any brand. It will be interesting when gas gets to be $5 a gallon again, and everyone will be trading in their thirsty half tons and SUVs and flocking to buy a Civic, Elantra, or Mazda3. They won’t be headed to their local Ford dealership because there won’t be any vehicle available that gets great mileage. Ford’s promise of a raft of new electric vehicles seems to have been put on a siding so they can build more F-150s and Expeditions. So be it, but they’ve alienated millions of car driving customers on this continent–me among them.